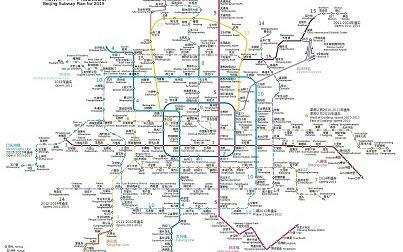 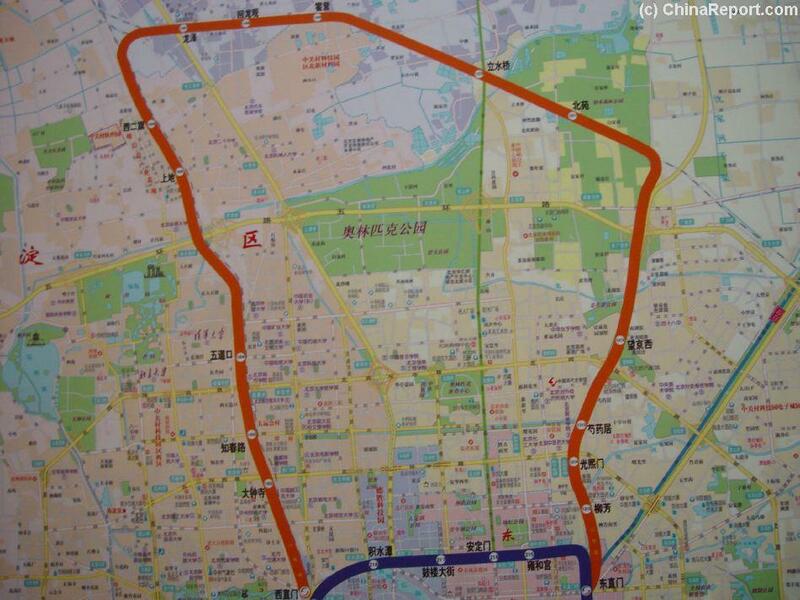 The Newly proposed Beijing Subway Map, to be ready in 2008. 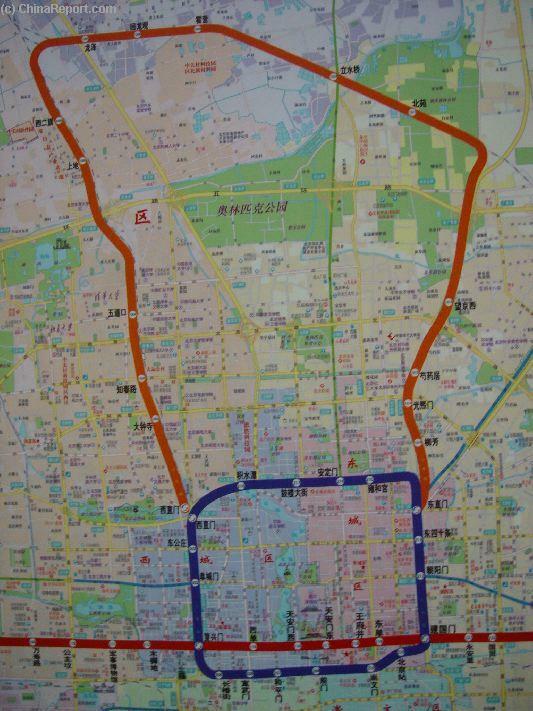 The Yellow Line is now available to All travellers making it possible to reach the Summer Palace area in North Haidian District by subway. More Subway lines, among which a direct link to the New Capital Airport are under construction ! The former ( Old ) Beijing Subway Map, showing the new circular line and extensions of the Eastern Line into Chaoyang Central Business District. 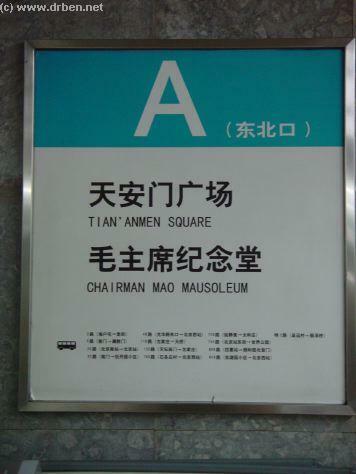 Both extensions became operational in 1999, just before the Millenium Celebrations in Beijing which also feautered the opening Ceremonies of Oriental Plaza the Malls at East Chang An ( Eternal Peace ) Avenue. 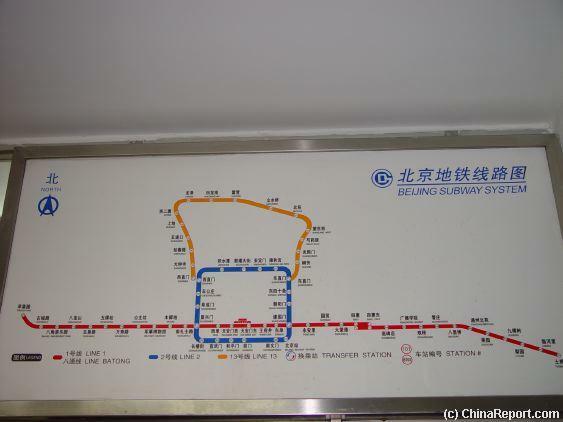 The Beijing Subway Map, depicting the situation untill early 2004. 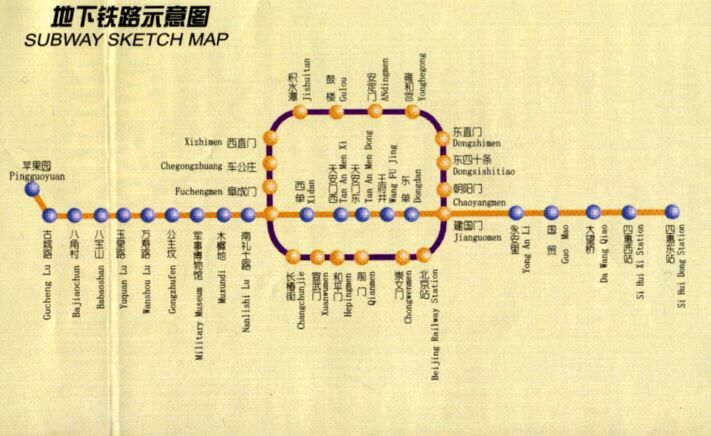 Both Linear and Circular lines are fully operational. 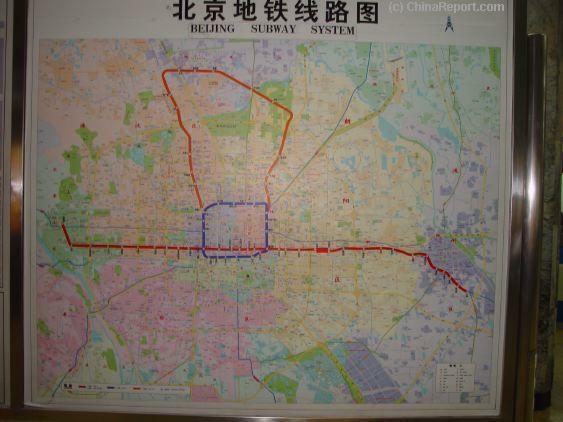 The circulare line follows the lie of Beijing's 2nd Ring Road, which in it's turn lies in the position of the former Beijing Ming Dynasty Era City Walls. 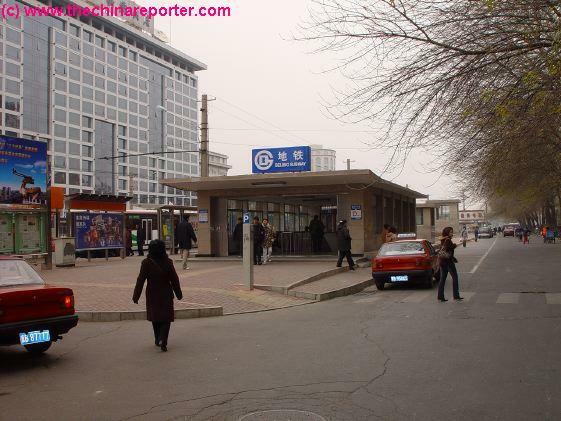 The linear line now extends to Si Hui Dong Station in the Eastern and modern Chaoyang District of Beijing. 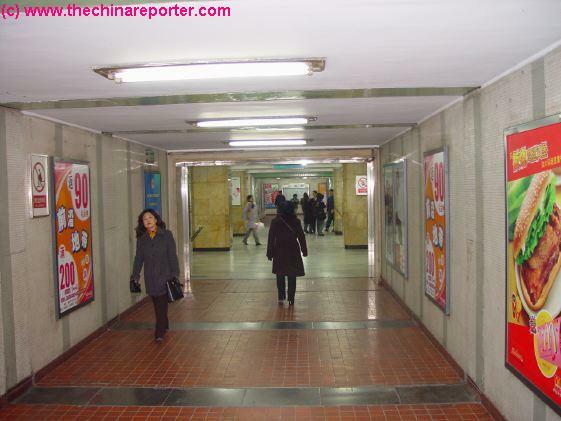 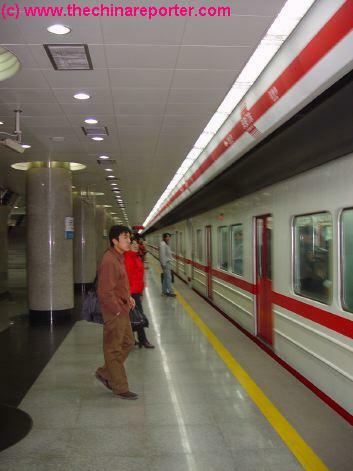 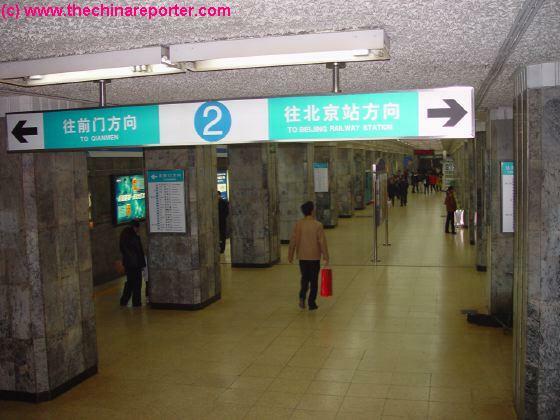 The Beijing Subway underground railway system was the first in the Country of China. 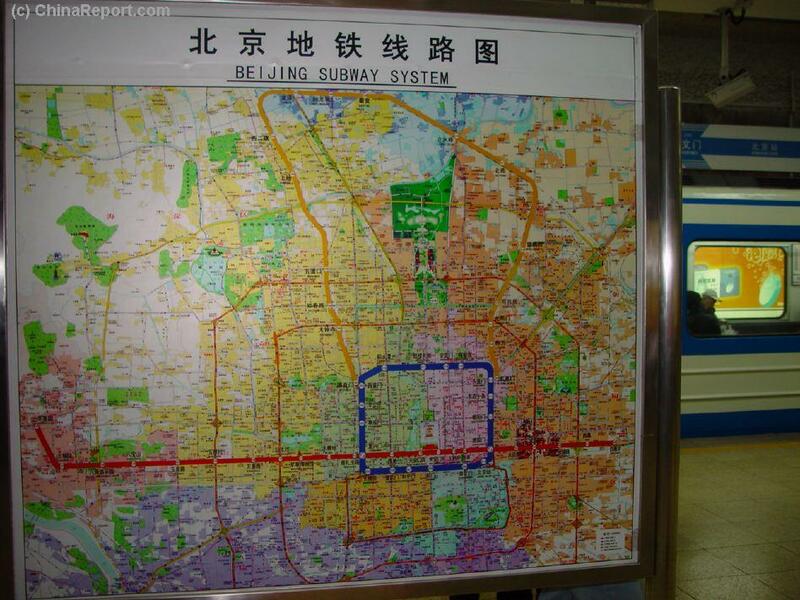 For a long time it was the only subway system. 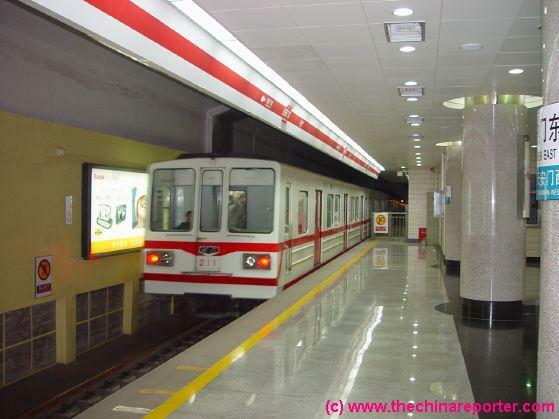 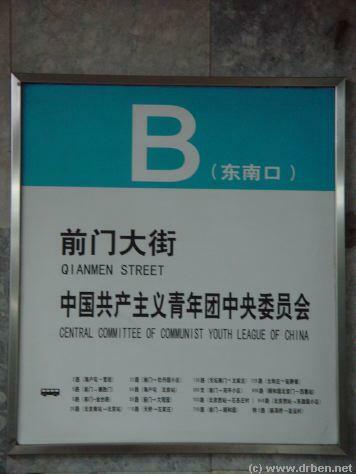 The First metro / subway line in Beijing opened on National Day (October 1st) of 1969. 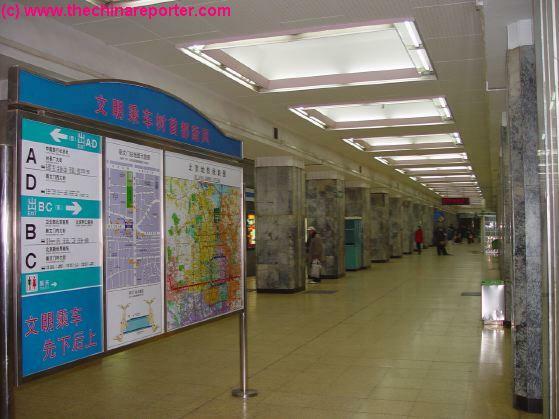 New information available / full info including airport express train due soon. 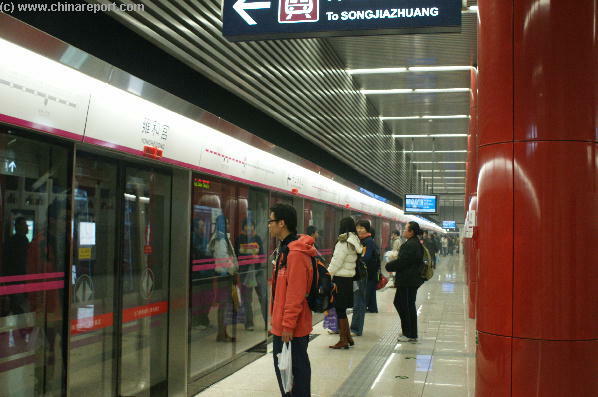 Trains on the longest subway line in China will make a trial run before the end of the year, traveling a 30-mile route between southwest and northwest Beijing, Xinhua, the state news agency, reported Thursday. 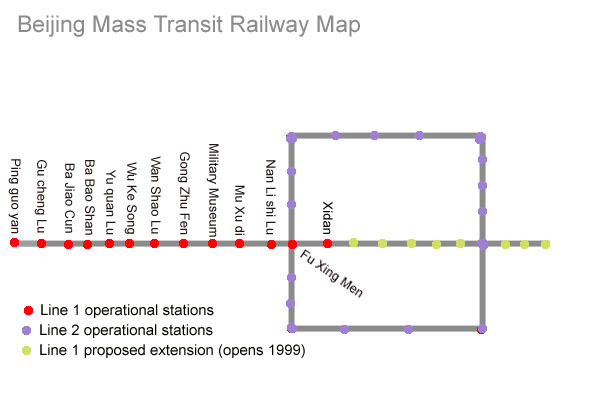 The route connects an existing line with a new 14-mile extension. 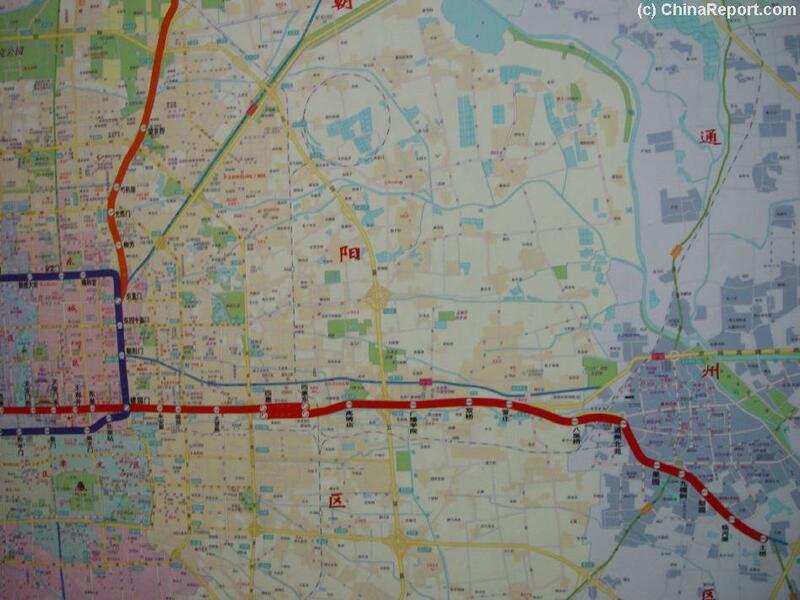 City officials say they hope the new line will help alleviate clogged roads. 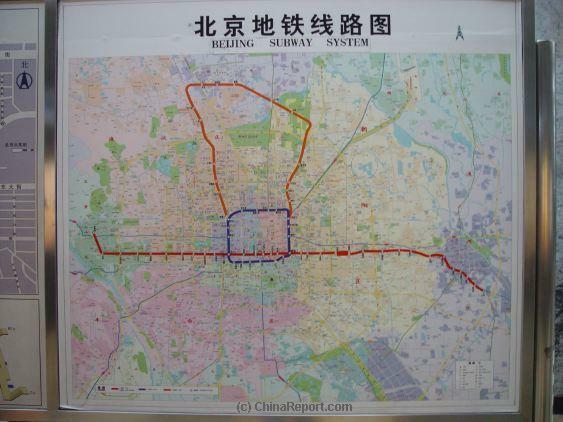 In recent months, Beijing residents have complained that traffic in and around the city has been worse than anytime in years. 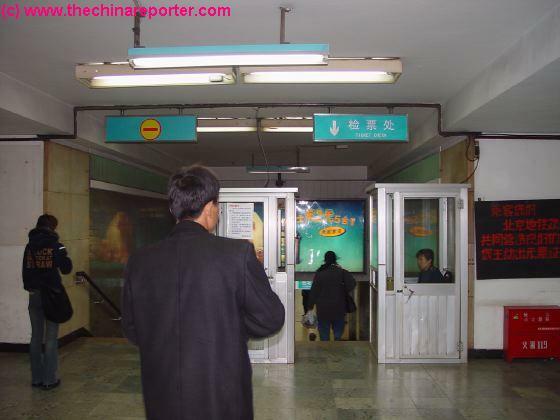 A recent traffic jam from outside Beijing toward Inner Mongolia lasted for 10 days and drew international attention. 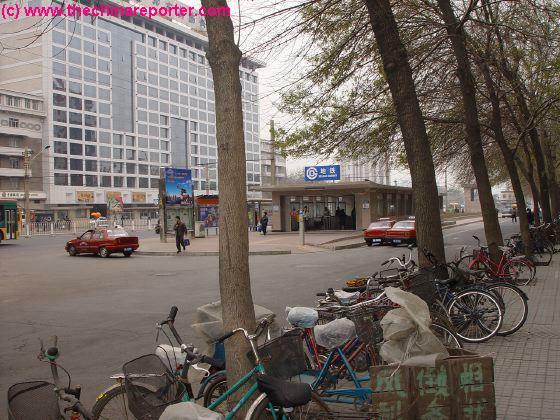 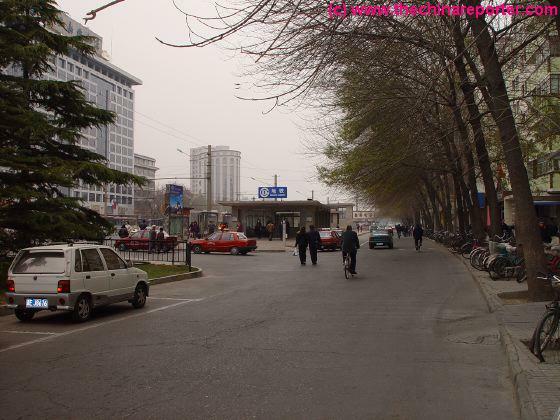 Xinhua reported that Beijing has four million cars on the roads, and the city is one of the most congested in the world. 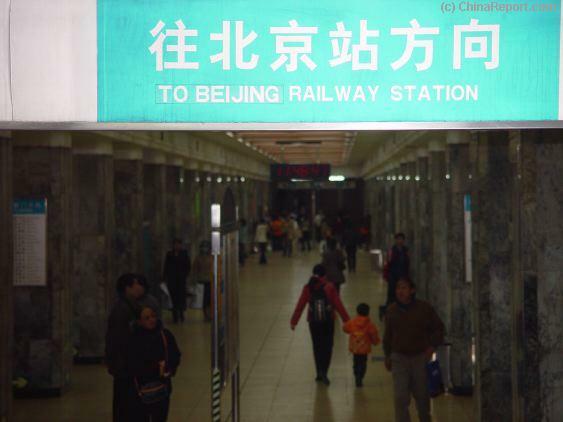 Beijing plans to open four other new lines by the end of 2010. 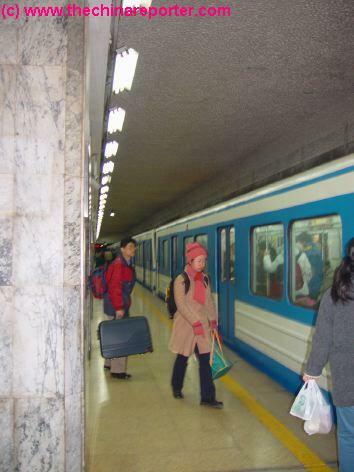 The average daily passenger volume of rail traffic will reach more than 12 million people by the beginning of 2013 when additional sections of the subway-metro system become available. 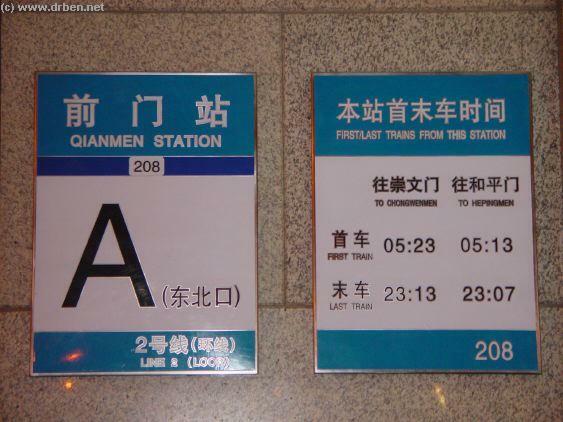 The construction of further expansions are planned to run into the year 2017. Running total mileage will reach 660 km in 2015, the city's rail transit network inside the Fifth Ring Road network density is 0.58 km / sq km, the rail transportation average daily passenger volume reached more than 12 million people, an average of 1000 meters walk to reach the metro station . 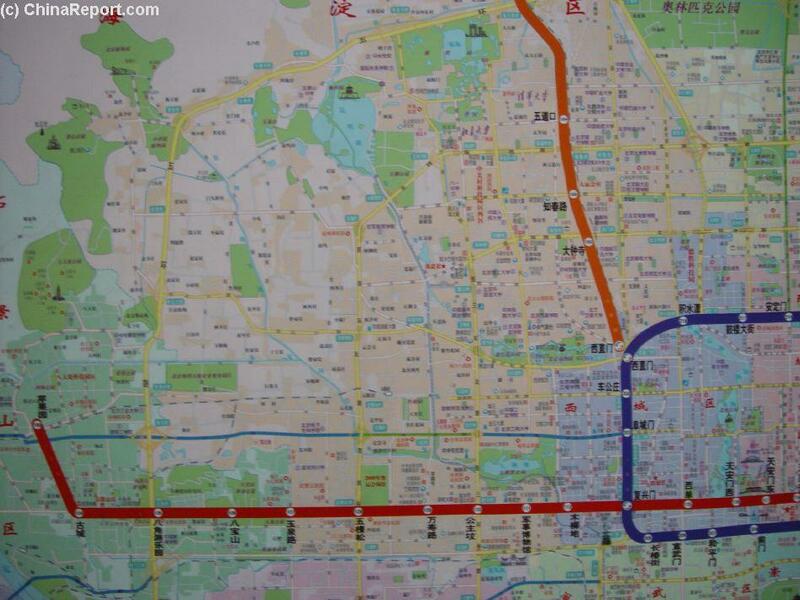 At the end of 2012, with a Line 6 and Line 8 two southern section of part of the line, the northern section of Line 9, Line 10 II total length of about 70 kilometers open to traffic, the total operating mileage of the Beijing subway will reach 442 km. 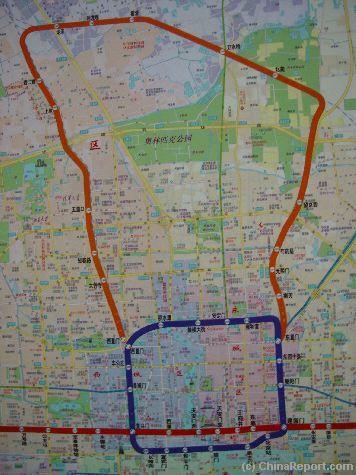 Center city new operational the backbone lines smallest grid interval of 2 to 2.5 minutes. 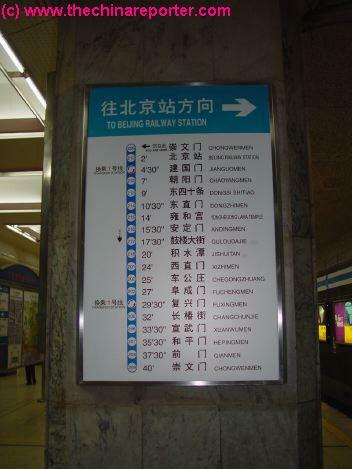 Metro Line 1, Line 2, Line 4, Line 5, Line 10, a peak departure interval will achieve full two minutes.